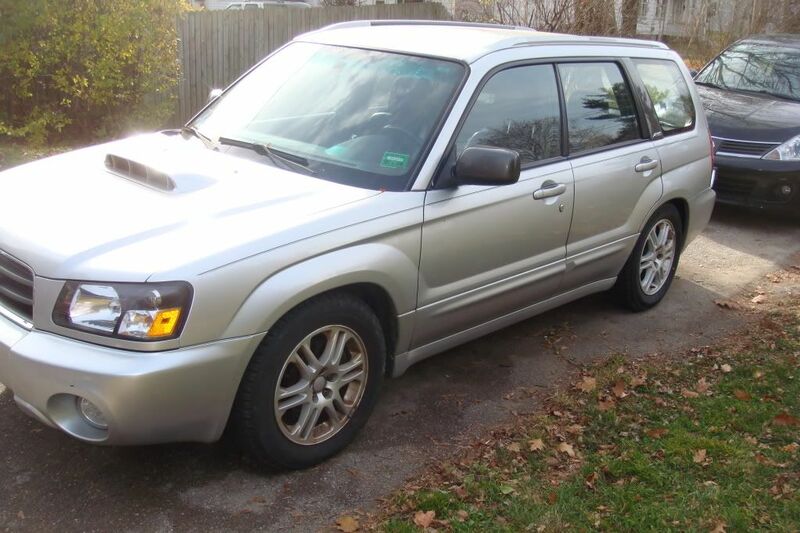 I am looking to trade this forester straight up for the right vehicle, or if you want to trade me something plus cash i would do that too. Throw me offers on what you have. I am interested in Lexus GS series sedans,sc300 and sc400's, possibly an older M3. Th engine is knocking due to a bad batch of gas, WOT at 17psi, i am assuming a spun rod bearing. It still runs and drives fine. It needs a replacement short block. My cost at my local dealer is $1770 for the complete assembled shortblock. 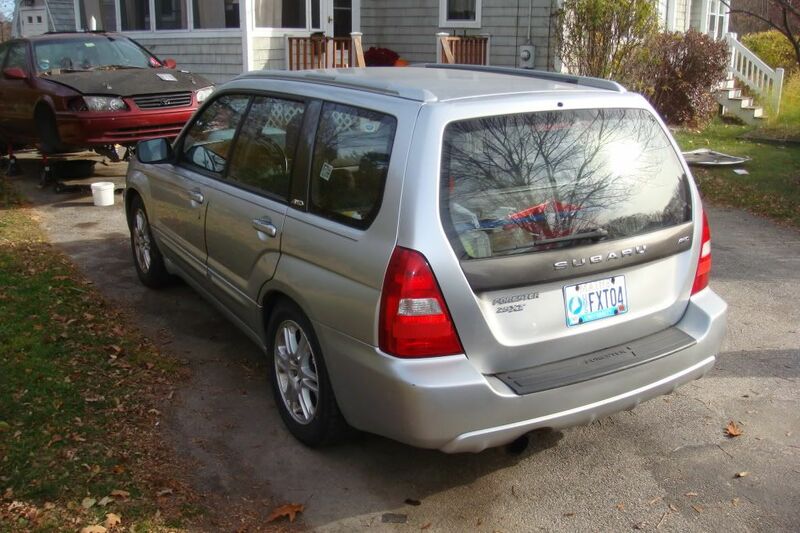 2004 Forester 2.5xt manual. 65k. Clean title. I am the second owner. Blackish cloth interior with heated seats, 6 disc changer, no sunroof, and OEM boost gauge. Car has never been in a serious accident, i replaced the bumper cover once from a small parking lot incident. 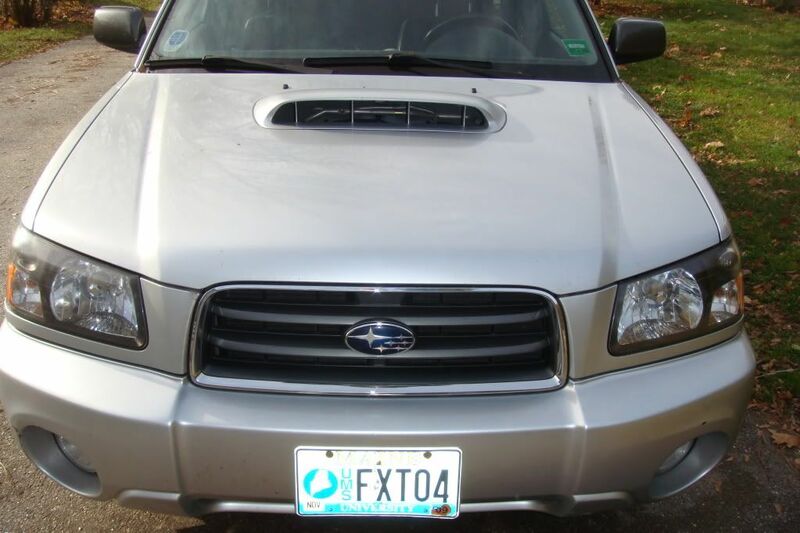 At 25,000 miles F1 Dyno in Portland Maine professionally installed a low mileage VF39 Sti turbo, a sti intercooler (perrin couplers), sti ecu, OEM Sti springs, OEM sti muffler, Sti Hood scoop, along with an invidia up pipe, HKS catless downpipe, custom 3" b pipe, Turbo XS intake, Blitz Blowoff valve, Turbo XS manual boost controller, Walbro 255 fuel pump, Perrin Crank pulley, AEM alternator pulley, crucial racing 160 thermostat, Sti group N motor mounts, Agency power Pitch stop mount, Cobb tuning poly Trans mount and shifter bushings, Cobb tuning adjustable short shifter, Colder NGK plugs. 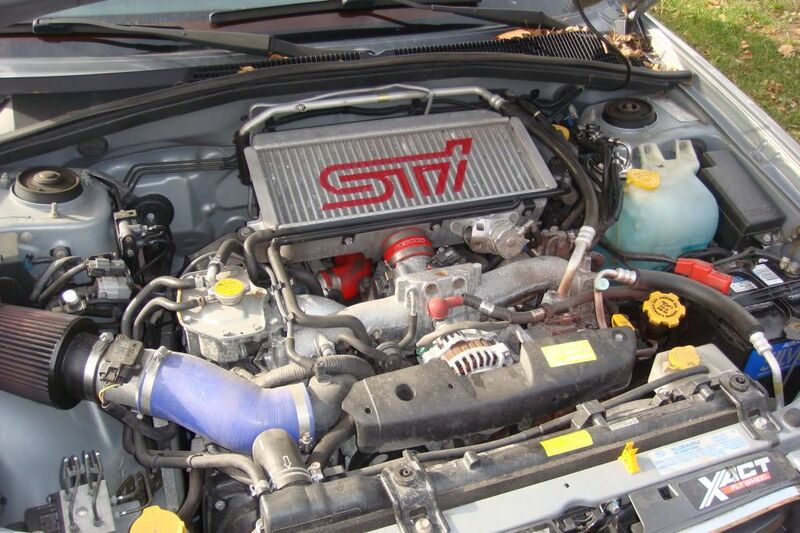 Tuned with a Turbo XS UTEC this forester makes 286whp and 322 tq. to the wheels on 93 octane at 17psi. Has FRESH synchros in trans, NEW Exedy clutch and ACT flywheel. All done at 60k. Not sure if i should part out or what but i wanna throw this out there to somebody to give them the chance put a shortblock in it and be done with it. Let me know what you have to trade i am open to offers! Last edited by trd4life; 11-12-2009 at 03:48 PM. not sure but either way its knocking. The car was professionally tuned at 17psi on 93 octane and ran fine for 3-4 years until it developed a rod knock during a WOT run, i suspect low enough octane fuel caused the problem.